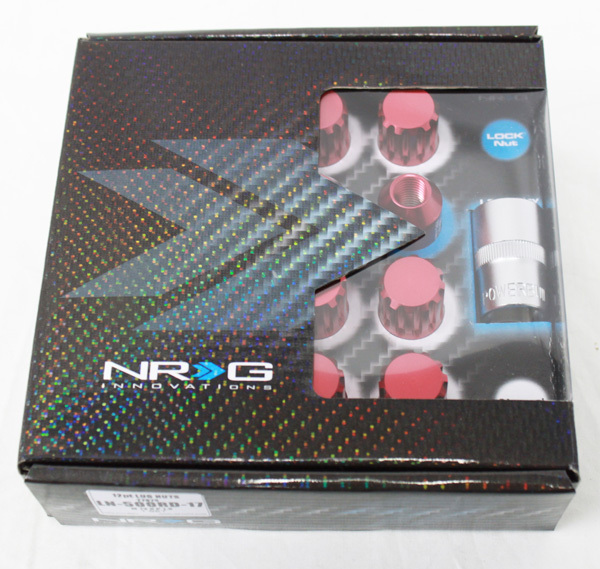 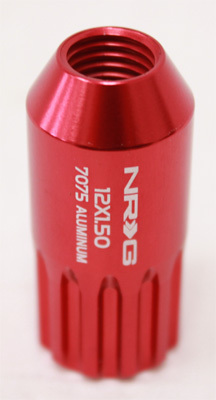 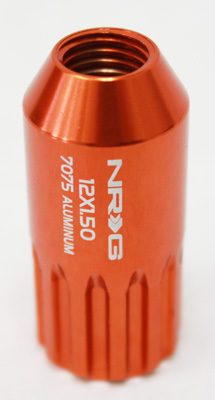 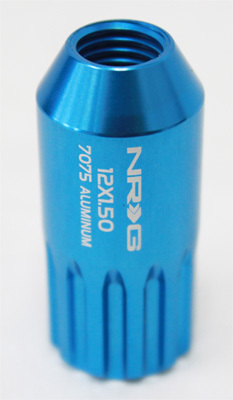 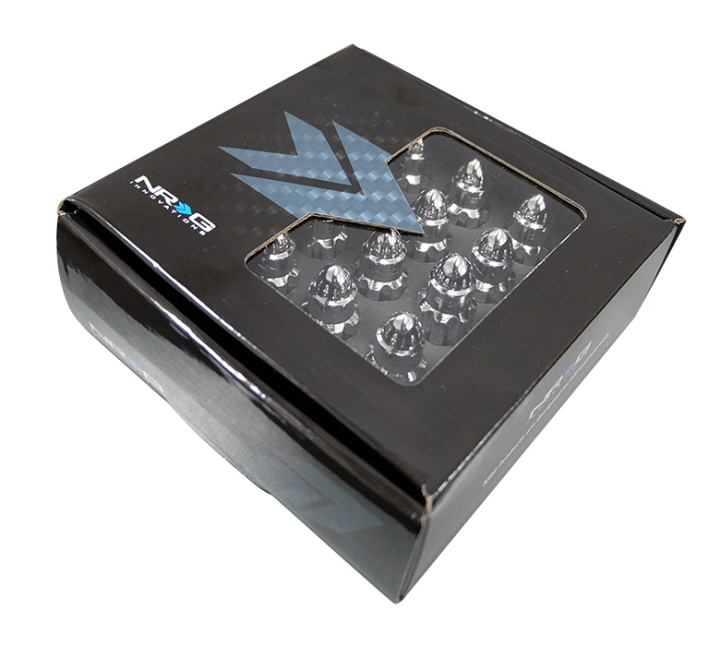 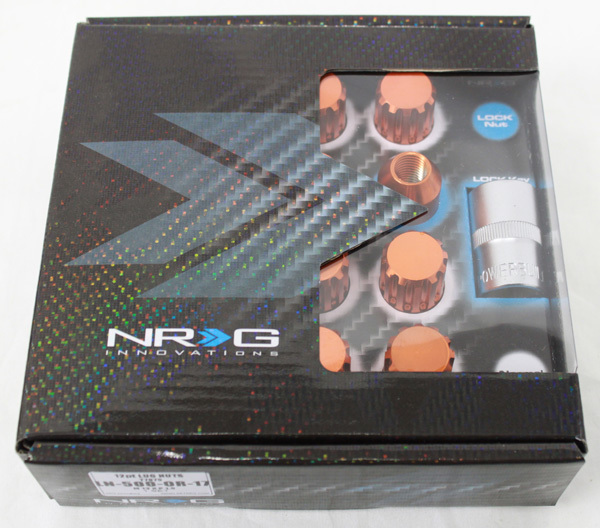 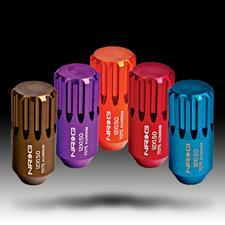 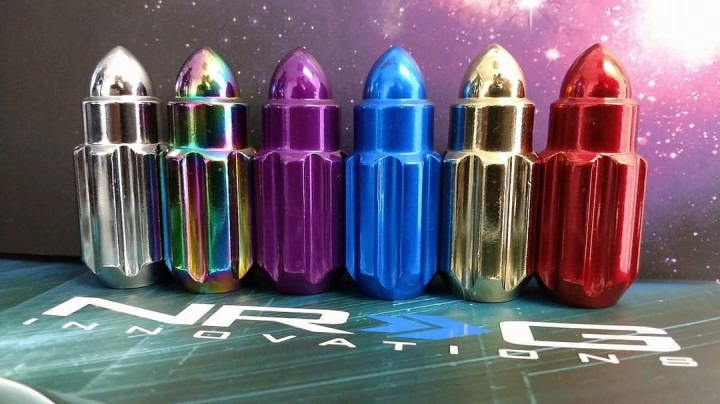 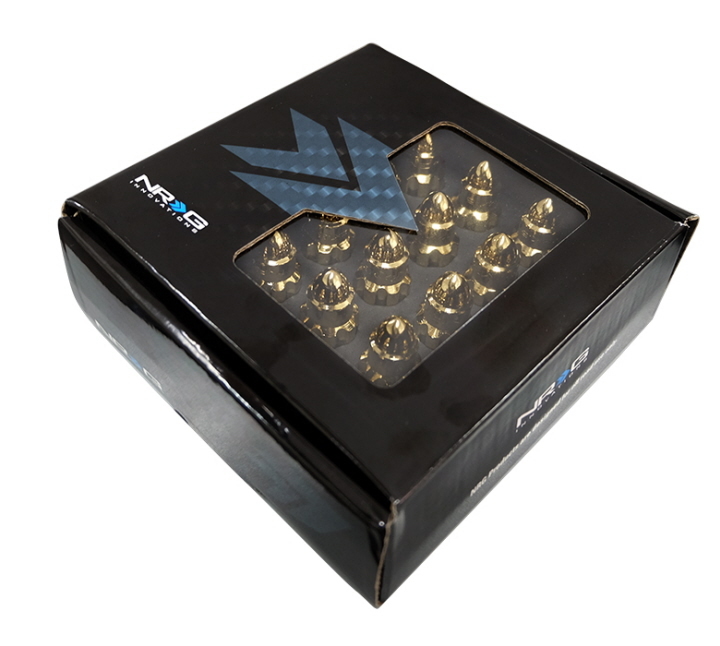 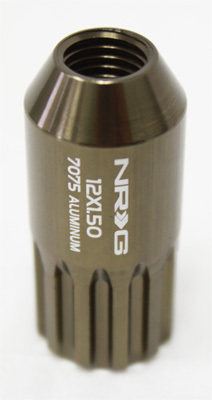 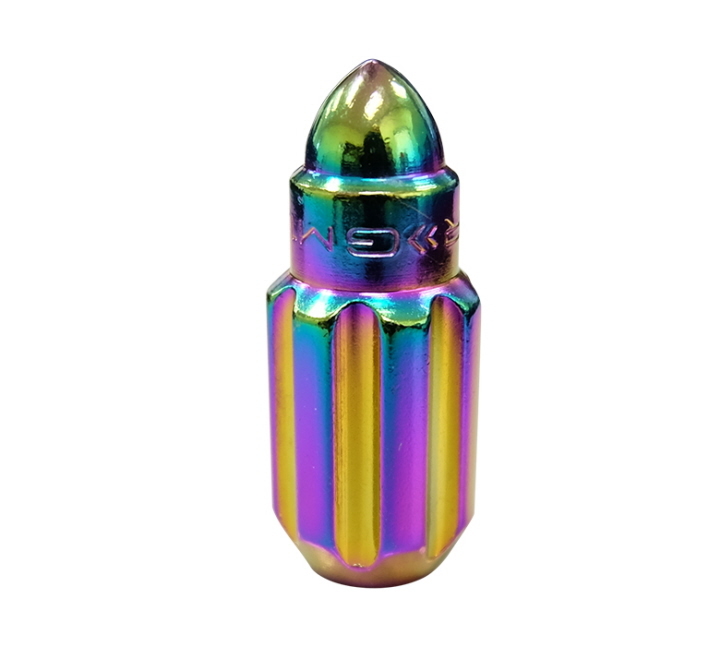 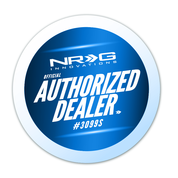 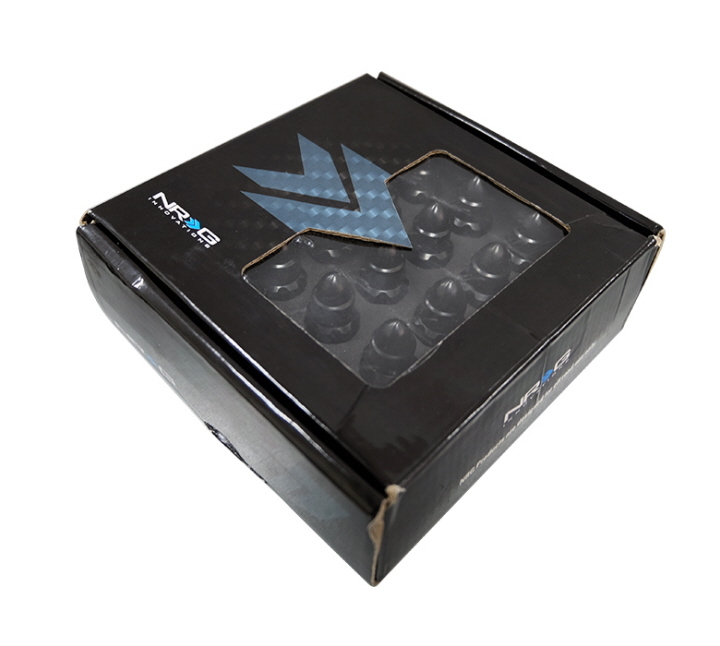 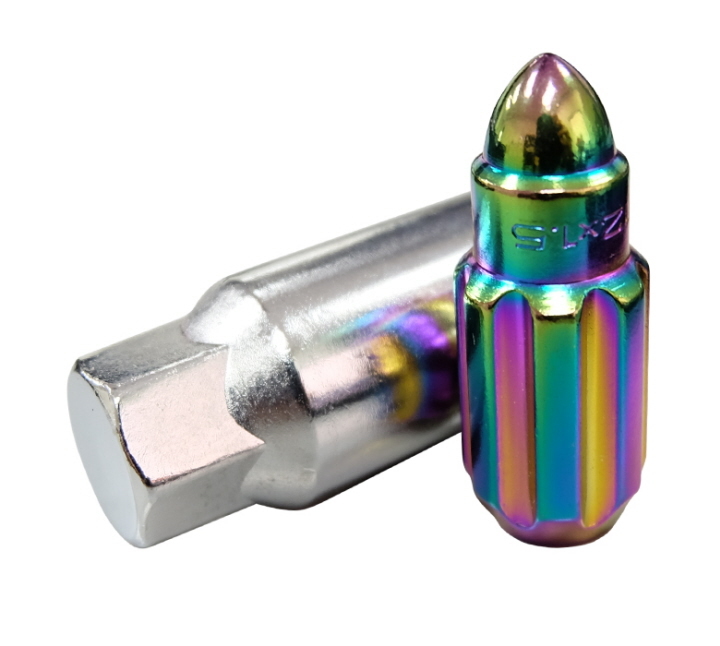 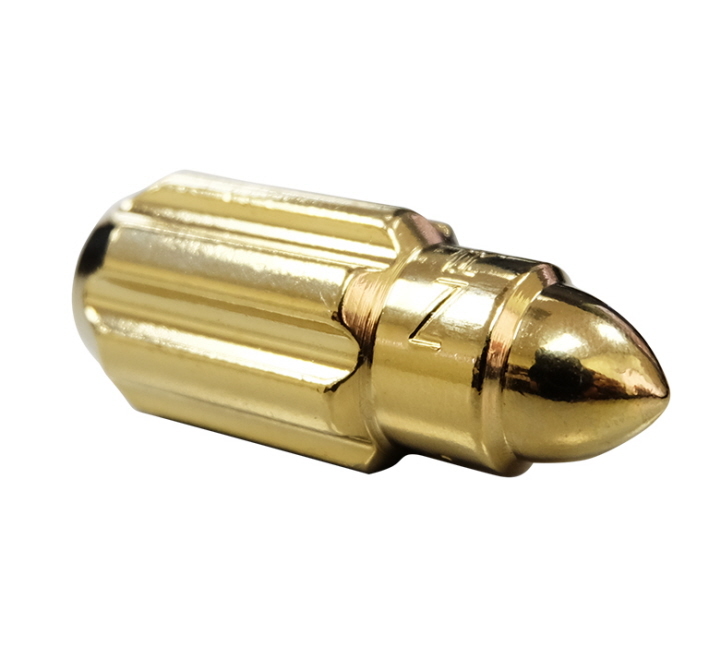 The NRG Innovations newest 500 series lug nut. 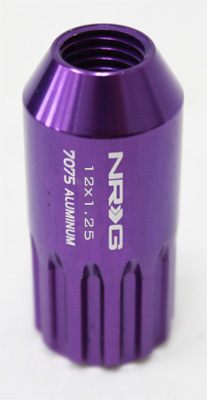 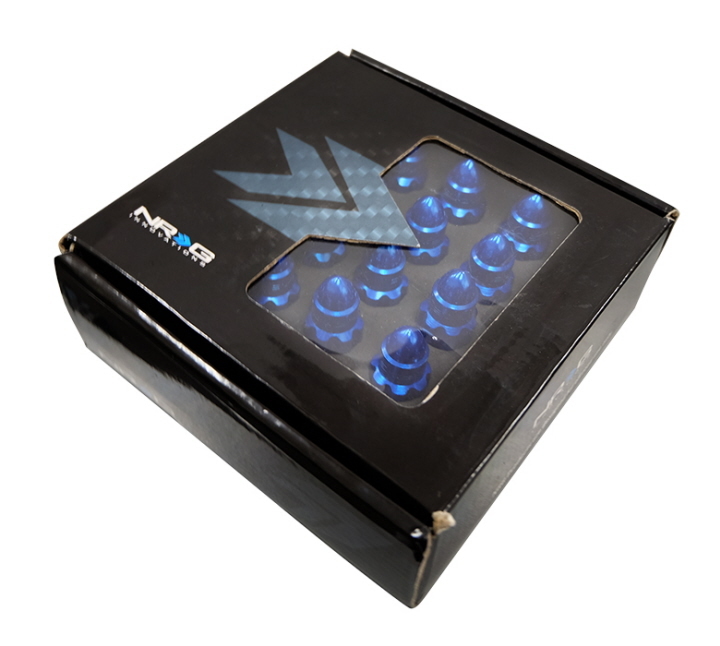 Forged from T7075 Aluminum for increased strength. 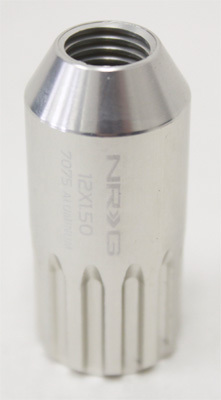 A Unique 12 pt design, comes in 12x1.5 and 12x1.25, in sets for 4 lug or 5 lug applications. 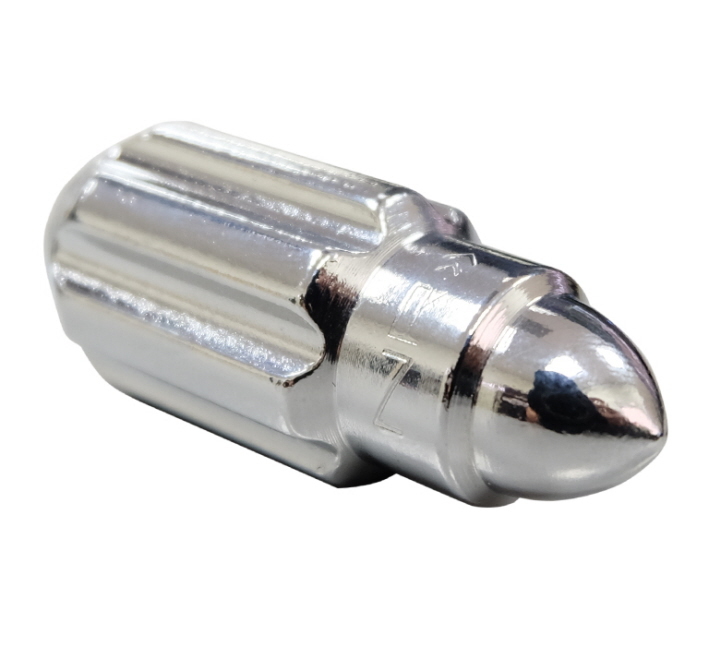 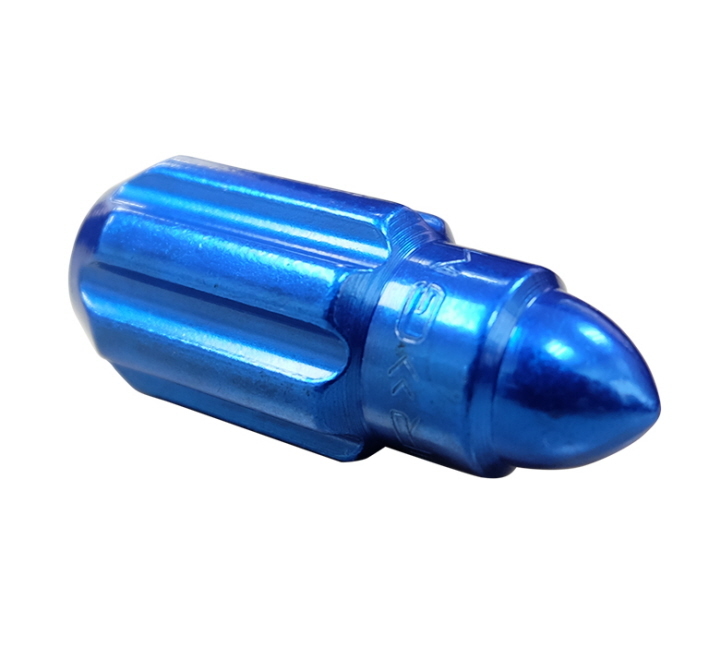 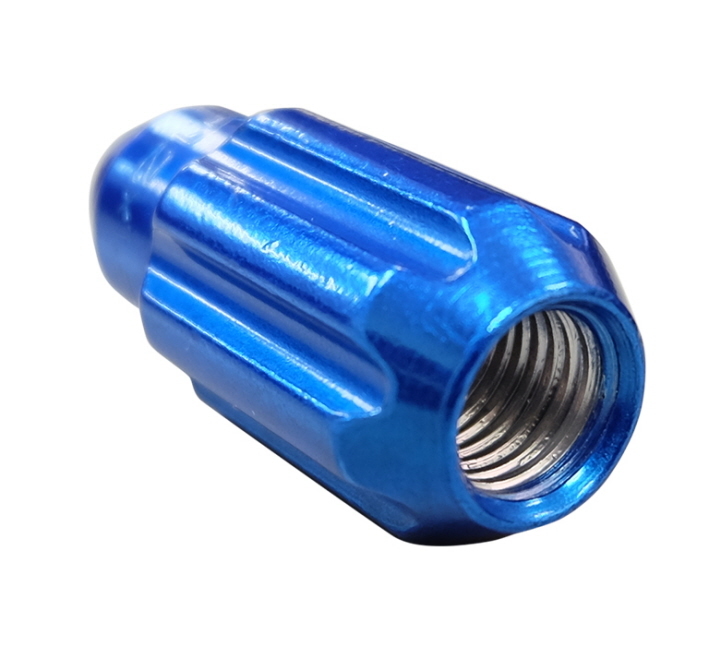 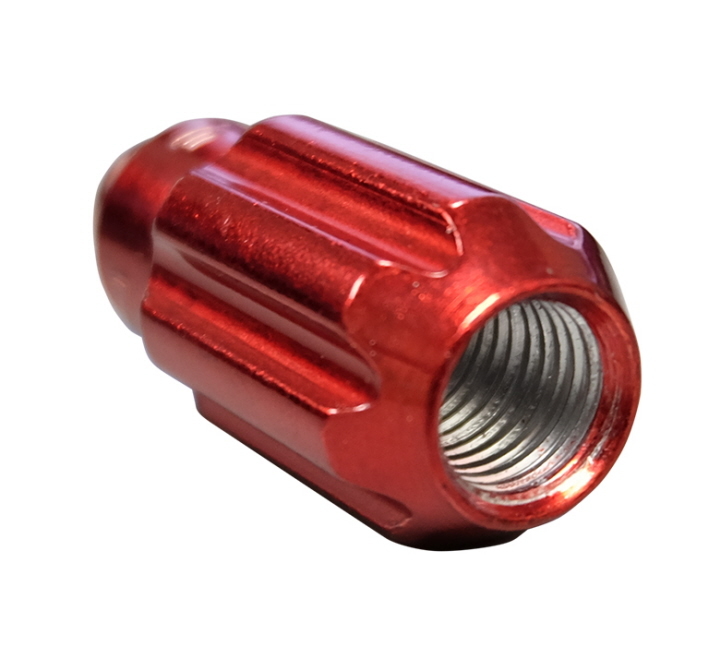 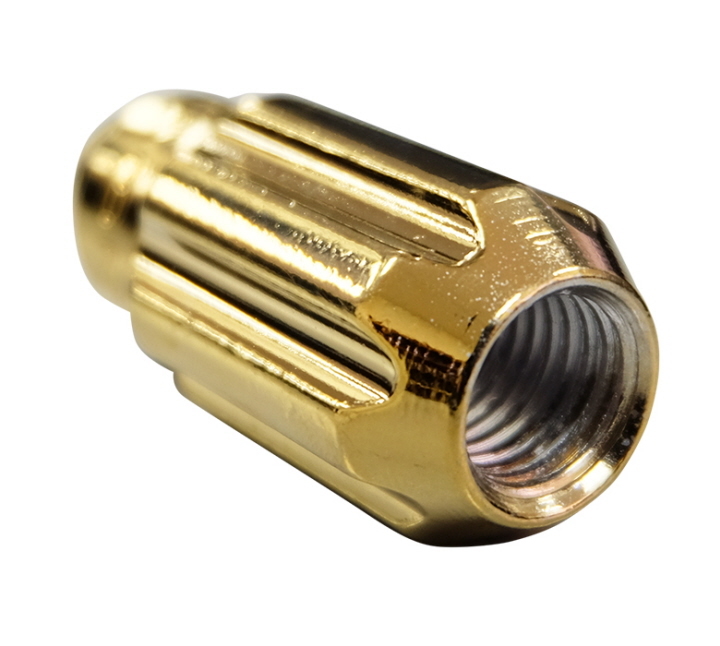 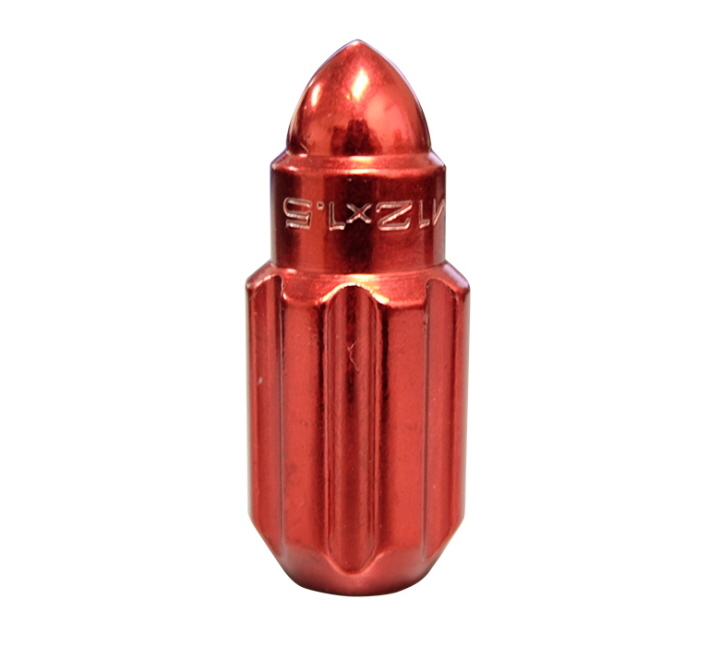 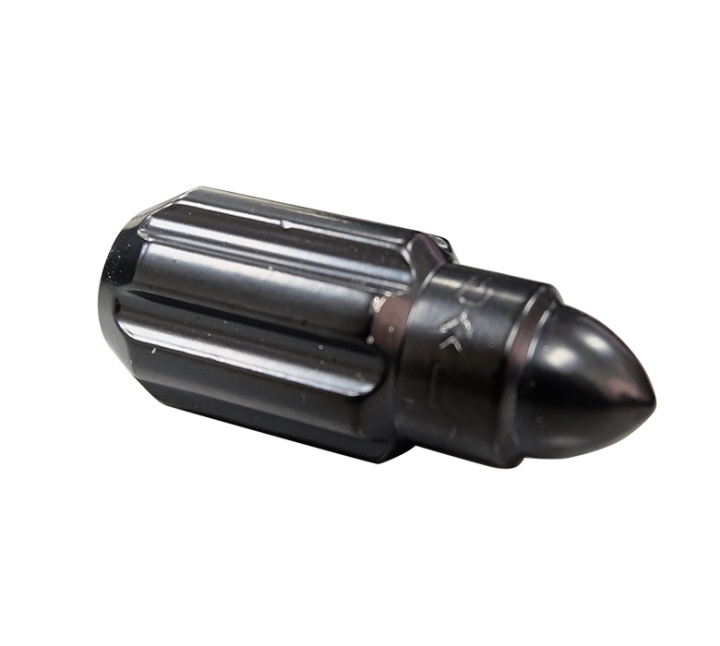 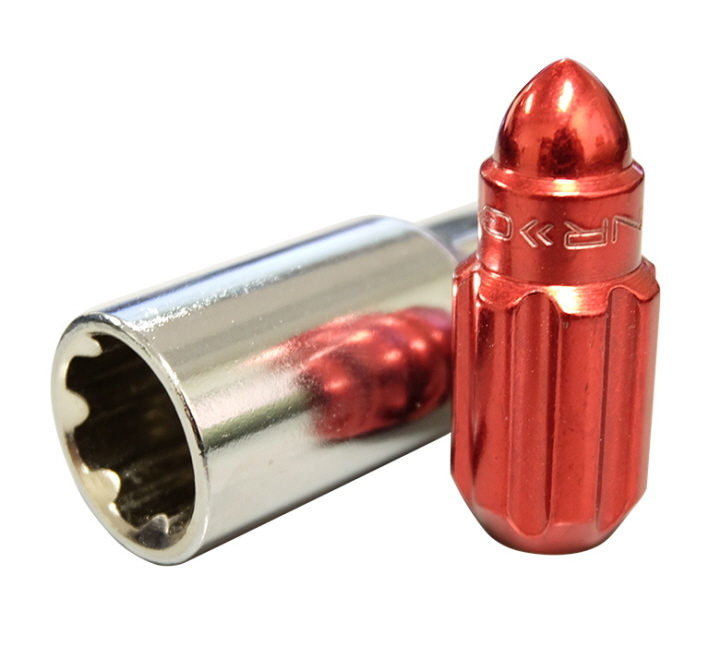 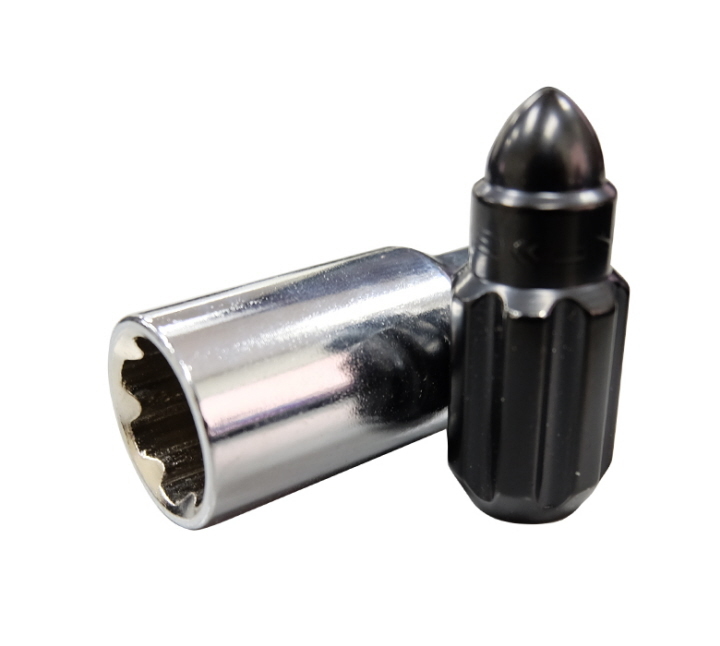 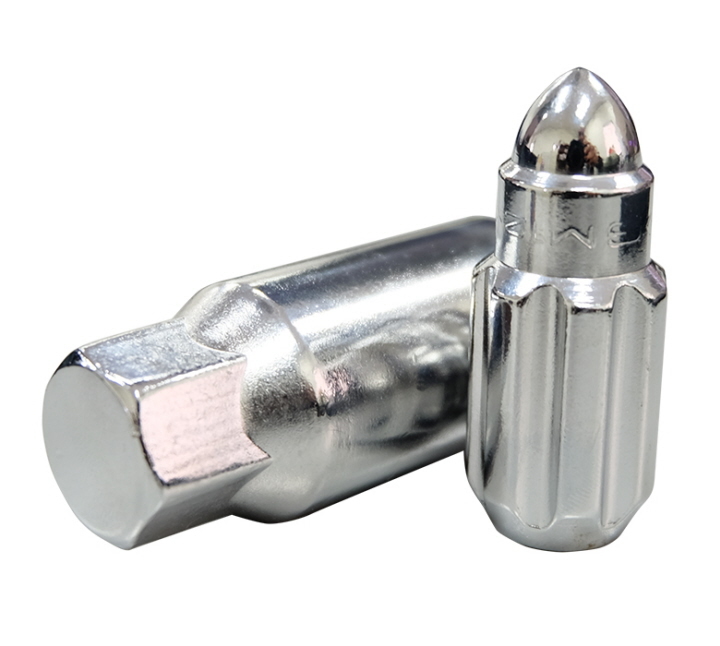 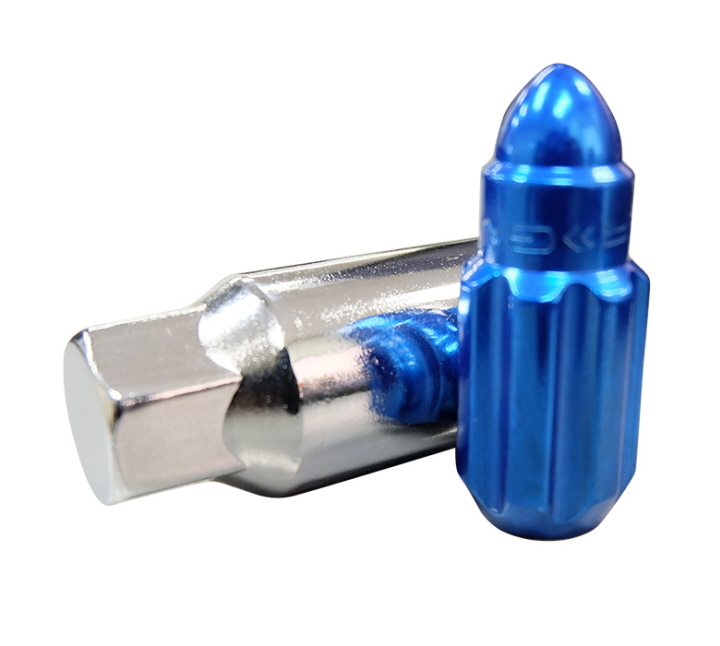 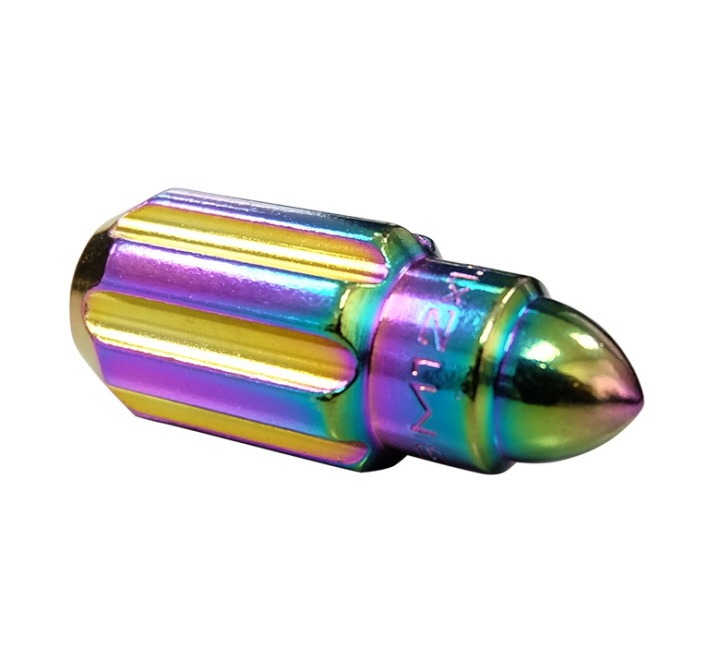 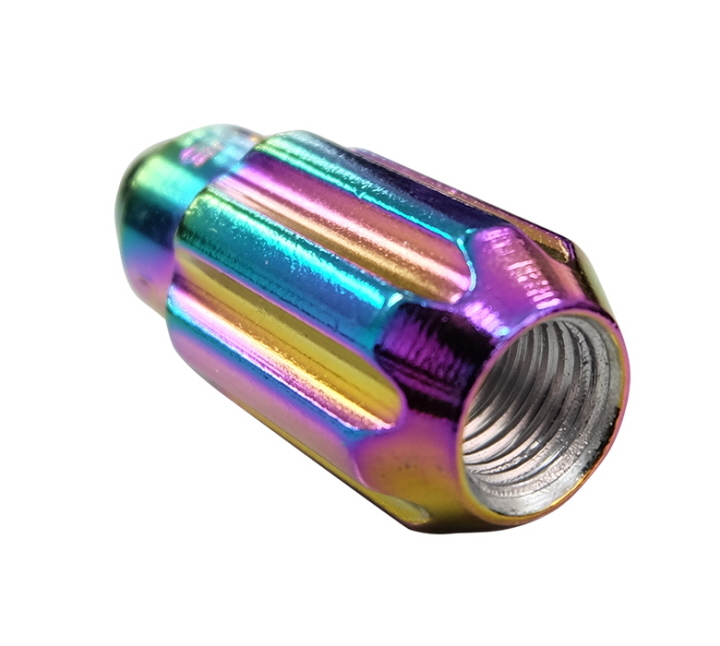 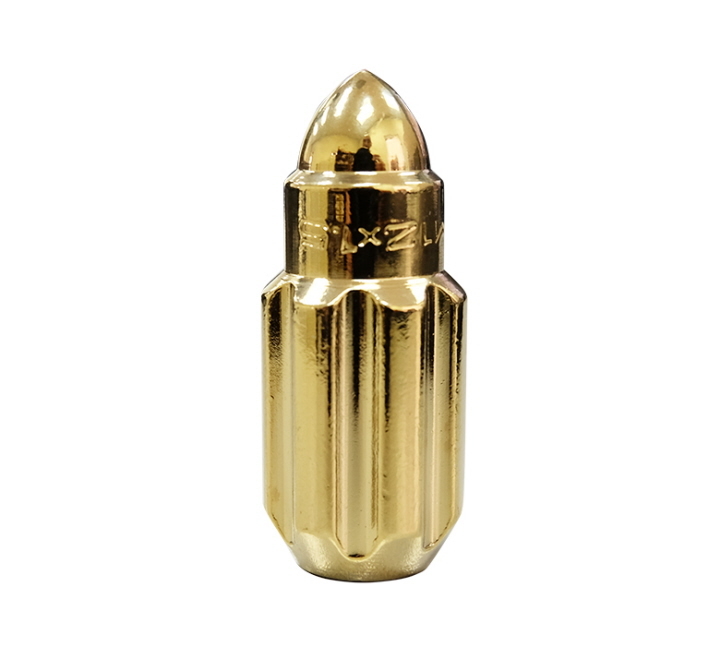 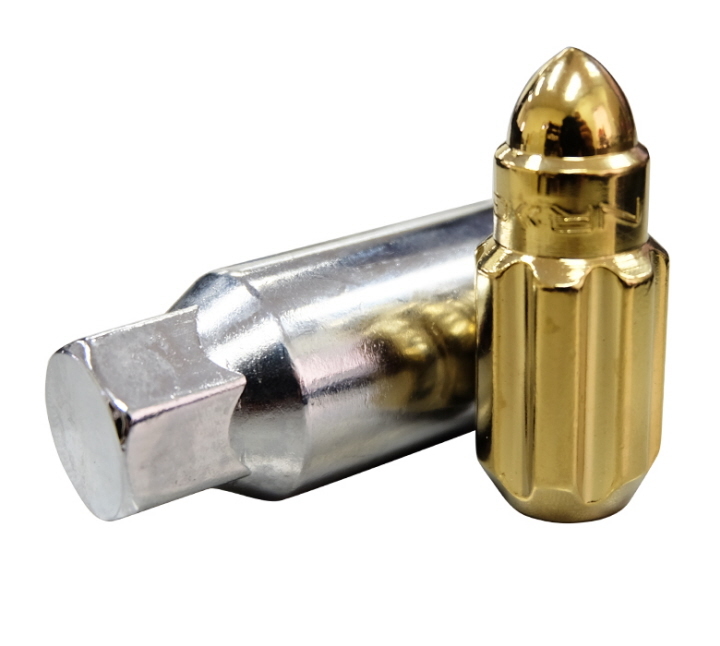 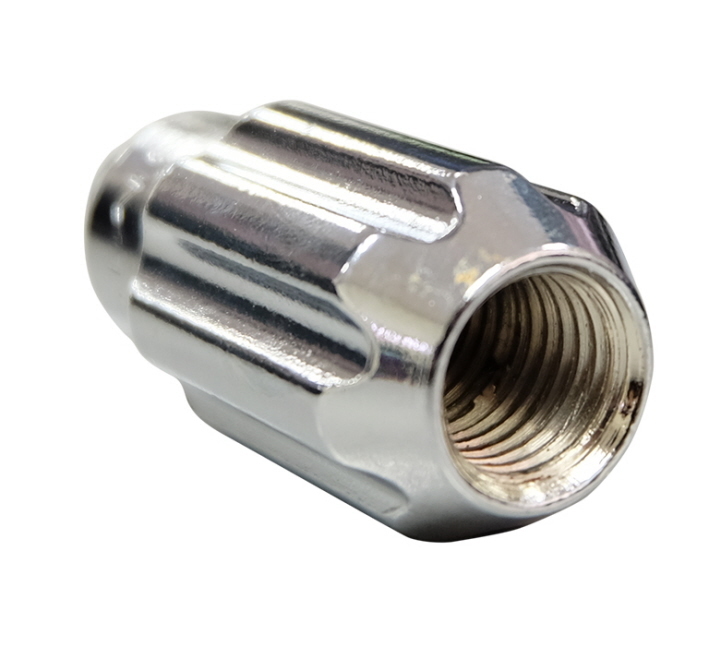 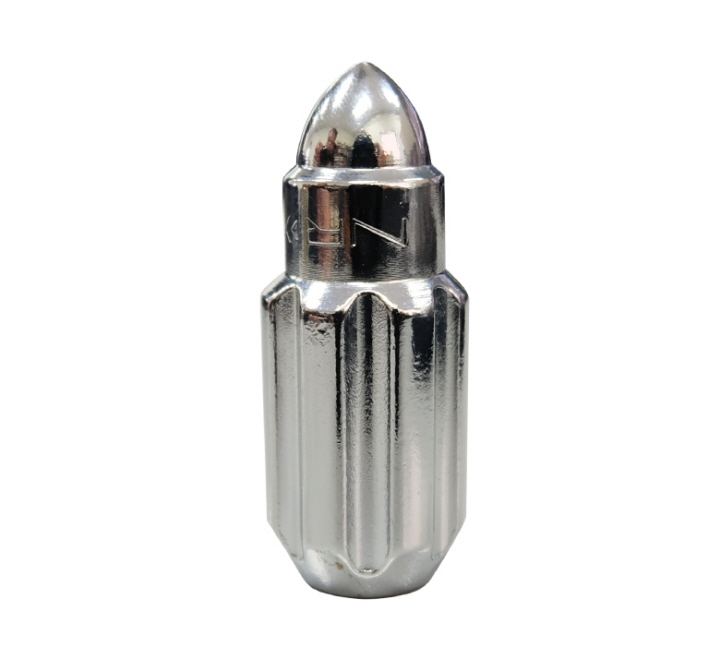 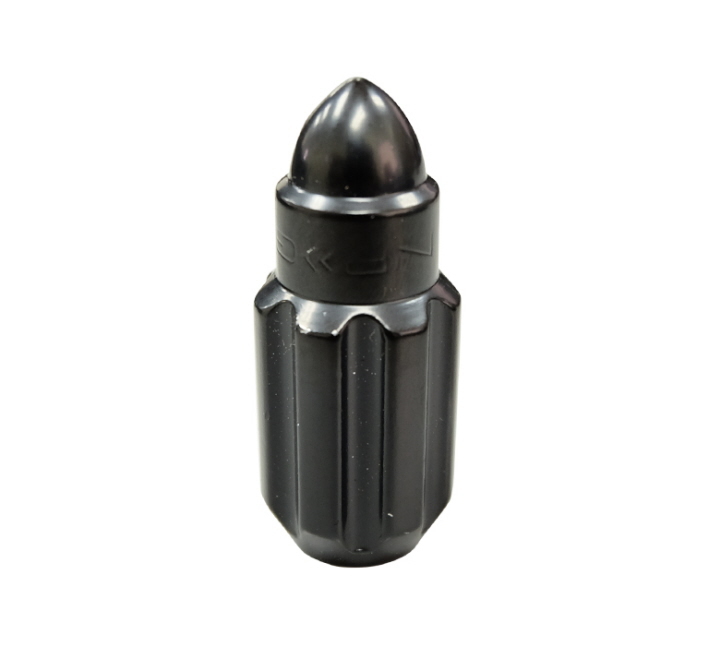 Lug nut measures 50mm in length and 21mm in width, 60 deg taper to fit most after market wheels.